It takes just a few seconds for someone to evaluate you in an e-mail, and an e-mail can last forever. It can form an opinion about you which may be impossible to reverse or undo, and you may have set the tone for the future relationship. In the sample e-mail above, this Professor does not know who you are or what assignment you need. He/she may get hundreds of e-mails every day and needs to know who you are, what you want, and how to solve your problem. 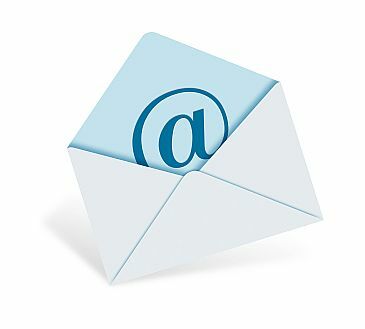 Be aware that your e-mail address itself is conveying a message. “Hotchick@hotmail.com” may have been okay for your highschool friends, but will not convey the professionalism you will need in post-secondary educational institutions, where you are preparing to be job ready. Some servers will block your Hotmail account. Avoid slang, swearing and disrespecting other students in e-mails. Keep language simple, courteous, to the point and use proper sentence structure. Avoid use of smiley faces and unprofessional simplifications (“C U l8r” “r u ok” “LOL” “@”) Those are fine when you e-mail your friends, but remember – e-mailing is NOT texting. Show respect by addressing your Professor by name as they have indicated; and always use a salutation (greeting) such as. “Hi ……” or “good afternoon…….” ; do not abruptly start the e-mail without acknowledging them by name. If you are e-mailing them for the first time and have not yet met them, take the time to look them up the website to see if you can determine how they prefer to be addressed; “Mr” or “Ms” or first name? Use a helpful subject line that addresses the message and gets to the point of the e-mail. This is what your Professor will see in his/her inbox. I am Meaghan MacDonald and in your LL041 COMM class. I was away from class this morning, due to an appointment and missed getting the assignment which was handed out. Could you please provide me with another copy via e-mail, or give me a time and I would be happy to stop by your office. Emailing a professor is not the same as texting a friend! And don’t forget to follow up with a “thank you” e-mail when your Professor has given you what you need. After all, he/she’s the one who will be marking your assignment, and that’s really the best reason to be courteous, respectful and professional in your e-mail! Judy-Anne Sleep is a student of the Career Consultant Certificate Program in Hamilton, Ontario, Canada. This blog is part 2 in a 3 part series about Etiquette in the Workplace. MCACESblogs is a series of posts assisting job seekers with tips, tools and the latest job search trends. For more information, please contact Lidia Siino, Professional Development and Communications Specialist at lidia.siino@mohawkcollege.ca. Follow MCACESblogs and improve your job search today!